Afghan Peace Volunteers speak to us via a video message – a unique opportunity to meet and question members of one of the few non-violent peace groups in Afghanistan who live in a mixed ethnic community and draw inspiration from Gandhi and Martin Luther King- an incredible and historically monumental group in the international peace movement today. 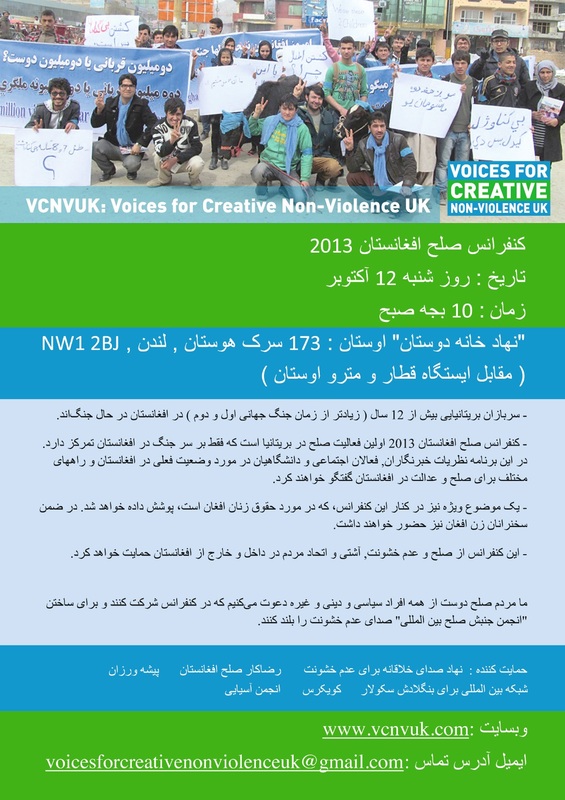 Afghan grassroots activist Sabir Zazai moved to the UK from Afghanistan in 1999. He is an active member of the diaspora Afghan community in Coventry and the Midlands. He is Vice-Chair of the Coventry Refugee and Migrant Centre, a local charity set up to support refugee and immigrant issues. One part of his community work has been to develop skills and help in bringing people from different backgrounds together. His work and experience in community relations is supported by practical experience of issues of diversity,cohesion and managing complex community relations at local levels. “The Dark Side”: Secret Prisons, Torture & the War on Terror: while most people know about Guantánamo Bay and prisoner torture in Iraq, less is known about Afghanistan’s role as a “processing” centre and stop-off in the CIA’s kidnap and torture “extraordinary rendition” programme. We will look at how we can raise awareness of the situation – past and present – and what we can do to campaign on the cases of individuals caught up in this “spider’s web” of secret prisons and torture, and to get governments like our own to own up to what they know and have done. No prior knowledge is needed, just lots of ideas to share. Led by London Guantanamo Campaign’s Aisha Maniar. Movement building: bringing together the Afghan diaspora and the UK peace movement to discuss issues involved in united movement building from both communities. Stop the War’s Ian Chamberlain (first session) and Lindsey German (second session) with Afghan grassroots activist Sabir Zazai, who will talk about his experience of working with Afghans Britain and share the value of certain approaches that have helped in creating cohesive communities. The session will be facilitated by Aloke Biswas who was a key community organizer in the 1970s Brick Lane Asian civil rights movement. Women in Afghanistan: one of the main justifications for the 2001 invasion was to liberate Afghan women; what has happened since? 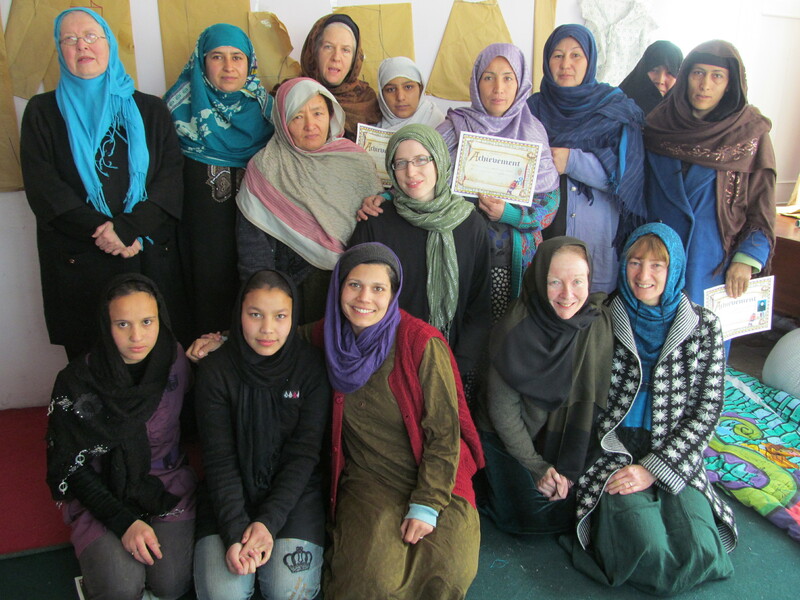 How much has foreign occupation improved the position for women in Afghanistan and how can change be supported and brought about? 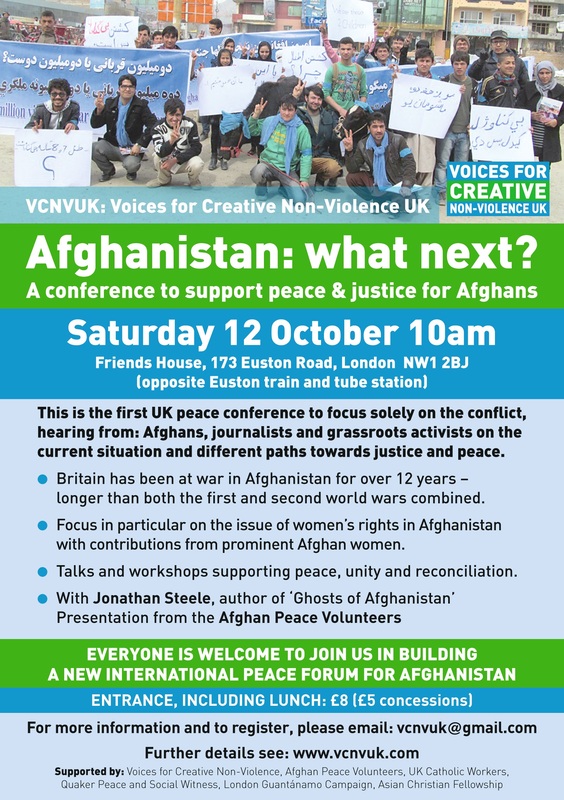 With testimony from an Afghan woman currently living Britain with recent experience of living in Afghanistan, and the issues which everyday women face there. Maya Evans gives an eye witness account from her visits to Kabul and with also present some factual findings. Facilitated by Penny Walker who set up and ran a house of hospitality for female asylum seekers in Coventry. Drones: the true cost of war: examining the growing use of drones in remote warfare, looking at what we know about the use of drones in Afghanistan and elsewhere and perhaps more importantly what we don’t know. The workshop will also examine the growing resistance to drone warfare in the US and UK and discuss the way forward. This workshop, led by US drone activist Brian Terrell with Chris Cole and Mary Dobbing of Drone Wars UK.